The newly branded Marriott Bonvoy Boundless™ Credit Card — previously the Marriott Rewards® Premier Plus Credit Card — is starting off with a bang.Earn 75,000 Bonus Points after spending $3,000 on purchases in your first 3 months from account opening with the Marriott Bonvoy Boundless™ Credit Card! If you’re loyal to the Marriott Bonvoy™ brand and want one of its credit cards — but don’t want to shell out $450 for the Marriott Bonvoy Brilliant™ American Express® Card’s annual fee — this one is for you. It comes with solid perks, including a free hotel night every card anniversary, automatic Marriott Bonvoy™ silver status with a path to gold and travel and purchase benefits. 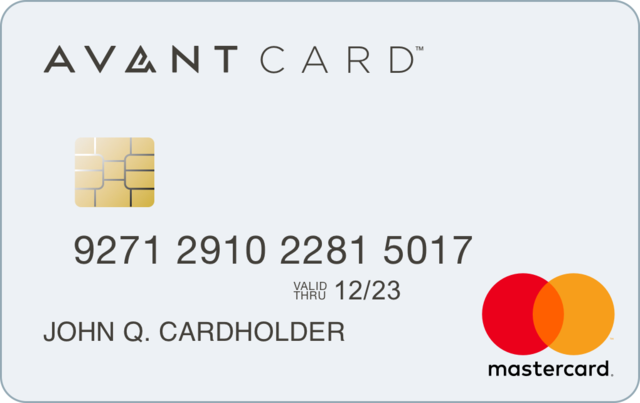 However, if Marriott isn’t your hotel brand of choice, then the Hilton Honors American Express Ascend Card may be more appealing. 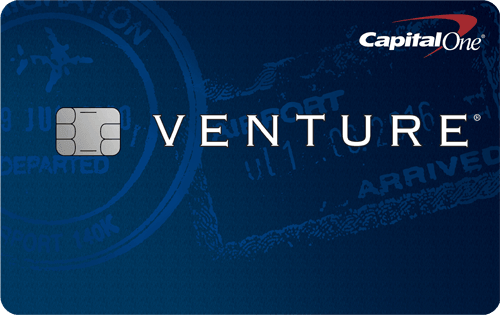 We compare both cards so you can decide which one is best for your spending and travel needs. Solid sign-up bonus. Earn 75,000 Bonus Points after spending $3,000 on purchases in your first 3 months from account opening with the Marriott Bonvoy Boundless™ Credit Card! Use them to book two nights in a Category 5 hotel, at 35,000 points per night. Read The Best Marriott Bonvoy Hotels For Your Free Night Certificate. Higher points. Cardmembers Earn 6X points for every $1 spent at over 6,700 participating Marriott Bonvoy hotels and 2X points everywhere else. Plenty of hotel choices. You have access to more than 6,700 hotels around the world, and your points don’t expire as long as you earn or redeem them at least once every 24 months. You can use a mix of cash and points to pay for rooms or use your points to upgrade for suites or rooms with a view. Plus, you get a free night on your card anniversary that can be used at Category 1 through 5 hotels with a redemption level of up to 35,000 points. Read How to Combine Cash and Points for Deals on Hotel Rooms. Elite status. Cardmembers get automatic silver elite status — that status comes with a 10% bonus points on hotel stays, priority late check-out, a dedicated reservation line, free Wi-Fi and no blackout dates when booking. Points flexibility. Transfer your points to more than 40 airlines at a rate of 3:1. Get 5,000 points back for every 60,000 points you transfer to airline miles. You can also use your points to pay for Priority Pass airport lounge access and your $85 TSA Precheck enrollment fee. 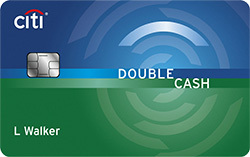 Read Credit Cards with Airline Mile Transfer Features. Spend for status. If you want to earn Marriott Bonvoy™ gold status, you’ll need to spend $35,000 on the card within an account year. Category changes. With the switch to Marriott Bonvoy™, the loyalty program went from seven to eight reward hotel categories. As a result, nearly 400 properties were upgraded or downgraded, so you may have to search harder for hotels where you can use your annual free night. Read The New Marriott Rewards Program: What You Need to Know. Hilton’s 17 brands cover more than 5,600 hotels in 113 countries and territories. 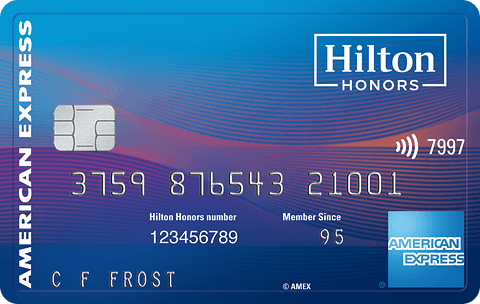 If you’re a Hilton Honors loyalty program member, it only makes sense to get one of its branded credit cards, such as the Hilton Honors American Express Ascend Card for maximum benefits. The card has a $95 annual fee. Cardmembers Earn 12X Hilton Honors Bonus Points for each dollar of eligible purchases charged on your Card directly with a hotel or resort within the Hilton Portfolio. Earn 6X Hilton Honors Bonus Points for each dollar of eligible purchases on your Card at U.S. restaurants, U.S. supermarkets, and U.S. gas stations. Earn 3X Hilton Honors Bonus Points for all other eligible purchases on your Card. That’s enough to book two nights in a king room at San Diego’s Hilton San Diego Resort & Spa on April 16, 2019, for 70,000 points a night, for example. The card not only offers top points per dollar spent for hotel stays, but it’s also quite generous for flights booked at amextravel.com, dining, supermarkets and gas, plus it’s pretty solid for all other purchases. Redeem your Hilton Honors points for hotels, car rentals, cruises, shopping, dining, gift cards, charity donations and once-in-a-lifetime experiences. Like the Marriott Bonvoy Boundless™ Credit Card, this card also allows you to move your Hilton Honors points to more than 40 airline and rail partners, although the value for those exchanges aren’t as good as as what you get for hotel stays. For example, 10,000 Hilton Honors points are only equal to 1,000 United Airlines miles — you’d need to transfer a whopping 100,000 points just to get the 10,000 United miles needed to book a one-way economy class Saver fare for a domestic flight under 700 miles. That’s not a good deal at all, so stick to redeeming your Hilton Honors points for hotel rooms and upgrades. The Hilton Honors American Express Ascend Card comes with automatic Hilton Honors gold status, which gets you an 80% tier bonus points per hotel stay, space-available room upgrades up to an executive room when available, a guaranteed member discount, no resort fees on reward stays, early check-in and late check-out, a fifth standard reward night free, free breakfast and two free bottles of water daily. But if you want to move up to diamond status, you’ll need to spend $40,000 annually on the card. The card comes with 10 passes a year that will get you into more than 1,200 Priority Pass airport lounges around the world, travel accident insurance, car rental loss and damage insurance, access to the Global Assist hotline, extended warranty, return and purchase protection and Entertainment Access to ticket presales and cardmember-only events, Broadway shows, concert tours and family and sporting events. Read Get Special Entertainment Access with American Express Experiences. You must spend $15,000 on the card in a calendar year in order to get a free annual reward night, plus you can only use it on weekends in a standard room. The Marriott Bonvoy Boundless™ Credit Card offers its free room with no spending requirement. For a travel card, the travel perks are pretty slim on the Hilton Honors American Express Ascend Card. It only offers travel accident insurance, car rental loss and damage insurance and access to the Global Assistance hotline. Other hotel and non-hotel credit cards offer more robust benefits like trip delay/cancellation insurance and lost luggage coverage. But you do get return and purchase protection, extended warranty and Entertainment Access. Check out our full review of the Hilton Honors American Express Ascend Card and roundup of Hilton Honors credit cards. Rewards Earn 6X points for every $1 spent at over 6,700 participating Marriott Bonvoy hotels and 2X points everywhere else. Earn 12X Hilton Honors Bonus Points for each dollar of eligible purchases charged on your Card directly with a hotel or resort within the Hilton Portfolio. Earn 6X Hilton Honors Bonus Points for each dollar of eligible purchases on your Card at U.S. restaurants, U.S. supermarkets, and U.S. gas stations. Earn 3X Hilton Honors Bonus Points for all other eligible purchases on your Card. Welcome offer Earn 75,000 Bonus Points after spending $3,000 on purchases in your first 3 months from account opening with the Marriott Bonvoy Boundless™ Credit Card! 125,000 Hilton Honors Bonus Points with the Hilton Honors American Express Ascend Card after you use your new Card to make $2,000 in eligible purchase within the first 3 months of Card Membership. Before deciding between these two hotel credit cards, consider the following: the annual fee; the sign-up bonus/welcome offer; points per dollar spent in top spending categories; hotel elite status; free anniversary night; and travel and purchase perks. While the welcome bonus on the Marriott Bonvoy Boundless™ Credit Card is lower than the Hilton Honors American Express Ascend Card, the former does come with a free anniversary hotel night with no spending required. The Hilton Honors American Express Ascend Card wins hands down when it comes to points earned for spending on hotels, travel, restaurants, gas and supermarkets. Both cards come with elite status, but the perks that come with the Hilton Honors loyalty program are more robust. They also both have ways to transfer points to airline loyalty programs, but the Marriott Bonvoy Boundless™ Credit Card offers a much better 3:1 rate. The Marriott Bonvoy Boundless™ Credit Card has better travel perks, but the Hilton Honors American Express Ascend Card has better purchase perks. If you’re still having trouble deciding between the two cards, the tiebreaker question is: which hotel chain is most appealing to you? Read our roundup of Best Hotel Credit Cards.